Robinsons is here to help you with all your UPS Shipping. We have an experienced staff that will make sure your packages are properly packed. 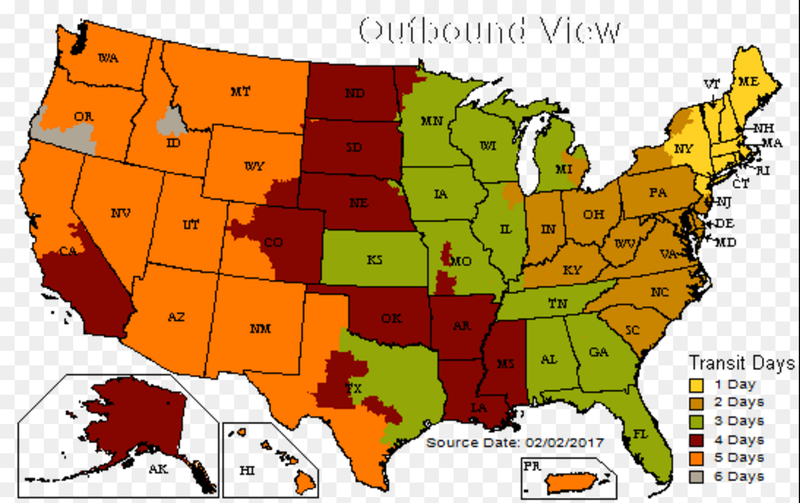 We use a computerized shipping process that makes it quick and easy to ship. Our store is ready to help you ship via UPS. We offer several UPS Shipping options including Next Day, 2-Day, 3-Day and Ground service. You can process your package at UPS.com, print your label and drop the package off with us. However, we often find it’s less expensive to let us process the package for you rather than doing it online. Either way is okay with us! Did you buy something online and need to return it? Did they provide a UPS label for the return? You can drop the package off with us! 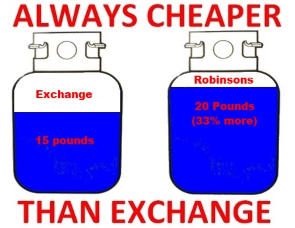 Why use Robinsons for UPS Shipping? More Convenient Hours – Open Thurs and Fri until 7pm and Open Sundays! Frequent Shipper Program – Ship 10 and the next one can be free! Do I need to put it in a corrugated box? Not necessarily. If the box is taped securely, UPS will accept the package with an extra handling fee since it is not in a corrugation. Please use common sense to decide if the container will keep the contents safe. For example, a flimsy shirt box will likely be destroyed during shipment but a bucket of popcorn may be fine. Remember: the exterior container is NOT covered against damage. I am shipping a gift in the box it came in, is it okay to just wrap the outside with paper to hide the gift? Your package will go through a variety of machines and on a number of conveyor belts during the handling process. As it moves along the system, its too easy for paper to be ripped off and your box not getting to the destination you had intended. For this reason, UPS does not accept packages that are wrapped in paper. What is the right way to package my items? Boy that’s a hard question to answer because it depends so much on what is in the box. The first answer is that everything shipped should be double boxed (a box inside a box) and should have a minimum of 2″ of packing material on all sides including the top an bottom. Beyond that, the hollow opening of something like a cookie jar should be filled with packing material to help avoid it breaking. What happens if I mark my package "Fragile? UPS does not provide special handling for packages with “Fragile”, package orientation (e.g., “UP” arrows or “This End Up” markings), or any other similar such markings. In fact, we have seen cases where UPS denied a claim for damage because the package was marked “Fragile” or “Handle With Care”. They argued that since ths shipper marked the package that way it indicated they knew it was improperly packaged. What do I do if I have a bottle of wine in my package? Alcoholic beverages are not shippable via UPS. We are not able to catch every bottle that comes through our store during the holidays. It’s important you realize that, if there IS a bottle of wine in the box, UPS MAY confiscate it and that it is not insurable. Can I ship cookies and cakes? Will the driver leave the package on the doorstep if no one is home? Does UPS have any packaging guidelines?